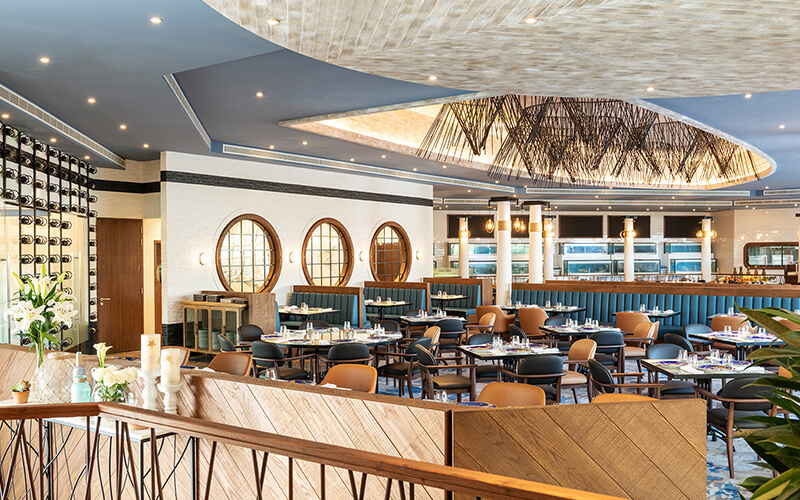 Sponsored: The recently revamped Seafood Market at Le Méridien Dubai Hotel & Conference Centre is now open once again, serving up an unparalleled sea-to-table dining experience. 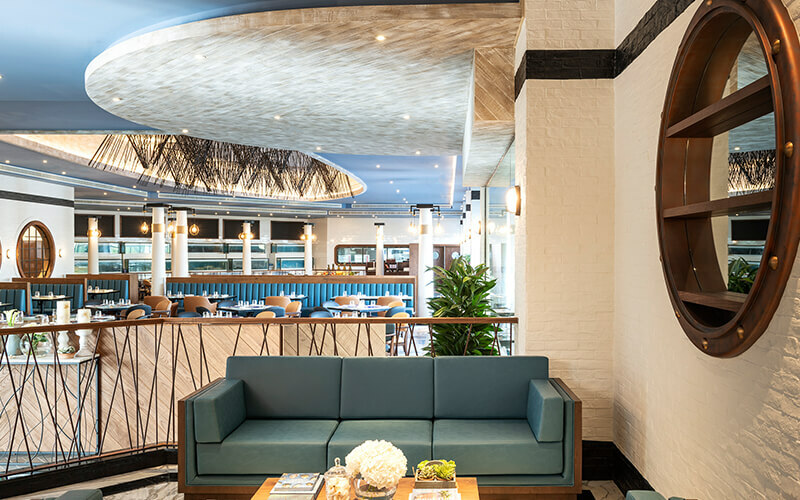 Having undergone a 360-degree facelift, the restaurant now features cruise-liner circular windows and tall wooden lamp posts to give the feeling of walking down a beachside harbour. The décor aesthetics beautifully merge elements of the beach with both influences from both Mediterranean and Arab cultures. The new Masgouf grill – which is native to the Arab world, and has horizontal skewers to slowly grill fish over wood-fire, thereby retaining the essence of the original dish intact with a perfect crisp crust, is now also available to Dubai diners at Seafood Market. The installation of 18 sea-water tanks, sourced all the way from Australia, boasting the latest in technology with respect to filtration and maintaining ideal conditions for the marine life, is also a noteworthy upgrade in ensuring the highest quality of seafood is served. These fish tanks maintain the shelf-life of the crustaceans and fishes in the most optimal conditions, as the water enters the tanks through a cascade mechanism, simulating the movement of waves, their natural habitat. Equipped with a highly well developed, automated filtration system, the new sea-water tanks help to maintain live seafood, including the likes of King crabs from Norway, Snow Crabs and Mud Crabs from Oman, Australia, New Zealand at the correct levels of salinity and nutrients delivering the finest and authentic sea-to-table dining experience. 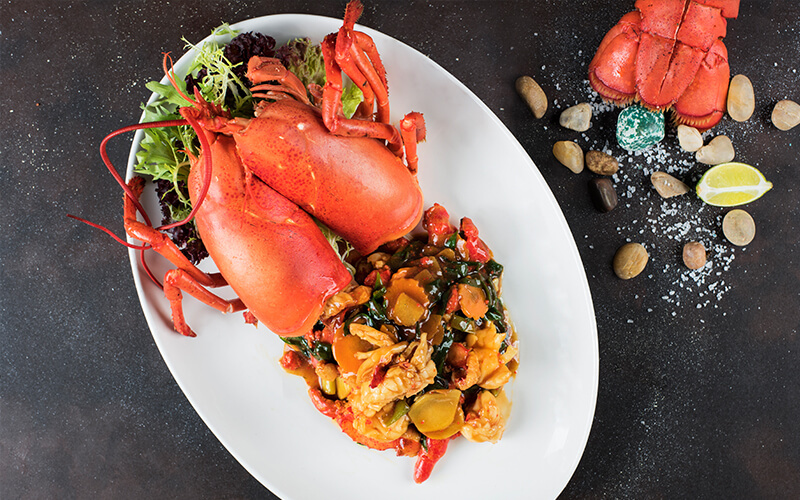 In addition, the menu has expanded to now include local hammour and many more regional varieties of seafood, crustaceans and fishes to cater to the discerning preferences of diners and patrons. 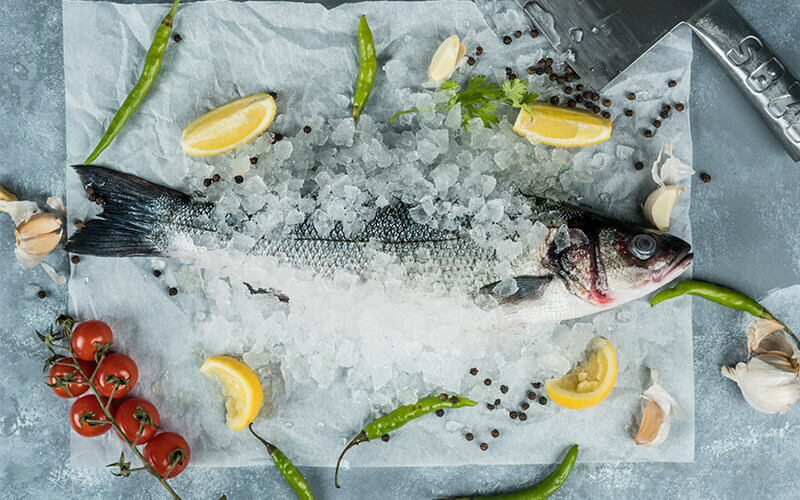 Details: Seafood Market is located at Le Méridien Dubai Hotel & Conference Centre in Garhoud. Open daily for lunch from 12:30pm – 5pm, and dinner from 7:30pm-11:30pm. For reservations, call 04 702 2455.